Hello! I adore this skin and am so thankful to have found it. However, I'm also having issues with the 200 x 300 avatar. I read the response above that you need to "link it elsewhere," but I'm not sure what that means. Can anyone help clear that up? 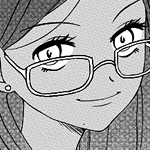 I'd like all avatars to display as the 200 x 300. 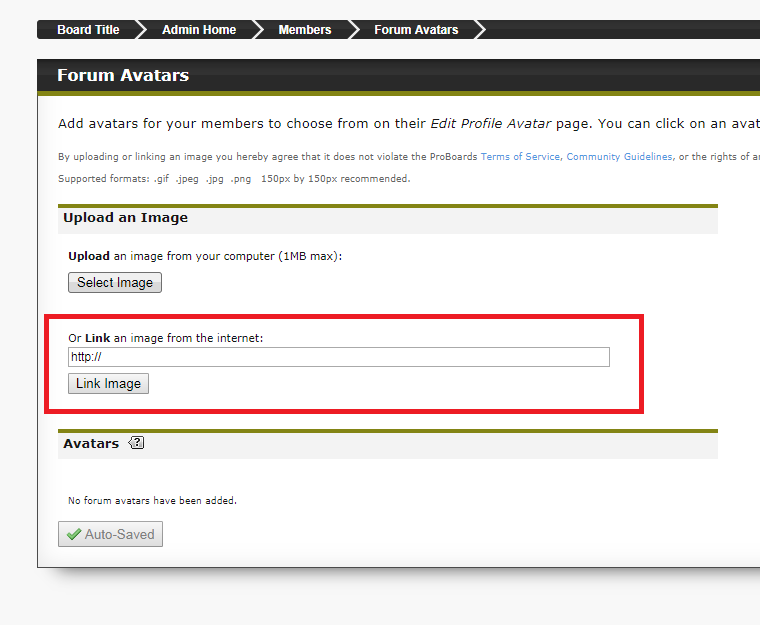 The default ProBoards avatar size is 150 x 150, which is a size constraint automatically imposed if someone decides to use the "upload" function on the avatar page of their profile as opposed to the "link" page. In order to circumvent this, any avatars exceeding 150 x 150 will need to be hosted elsewhere and linked to, as opposed to uploading the image directly to ProBoards. I suppose this is where I am confused. If it is hosted elsewhere, where would the link then be inserted into so it displays properly on the forum? Thank you for the response! Individual users would have to modify their profile avatars and use the “link only” option to link to the image they wish to use as an avatar (profile > edit profile > avatar (tab)). Any user that is part of a member group with the ability to modify profiles will also be able to do this on behalf of other users. I understand now - thank you so much!! Back with another silly question. Regarding the mini gif, I've gone through the read me and have added the custom field to profiles. However, the image test is still showing as just a question mark (broken link, maybe? Even though its directly uploaded to imugr). I even tried creating a custom image with the dimensions because I thought that might be it - but nothing. Any suggestions? So, I'm using this theme on a new forum, and there's one detail that's KILLING ME, and I can't seem to find where it's located. There's a slight error with two pieces lining up, and I'm not sure the bit of code that will define it. I'd like to lower the inner top/bottom padding on the white content containers in the image below. It has a padding of 20px 20px 20px 0px. If you changed that to 20px 20px 0 0 it should accomplish what you're after. Hey Elli! The opposite, actually. 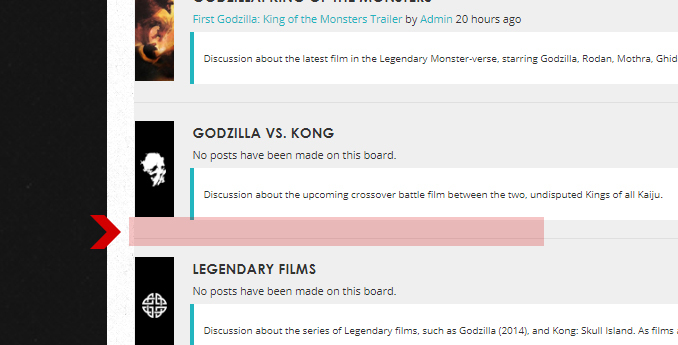 Currently, the board description containers are not lined up with my Forum Markers and I'd like to line them up. Additionally, is there a way to display the Avatar as the same size as default mini profile avatar? Please see below. I don't remember making the selectors this specific, I regret it. Phear You should be able to add the links on the Forum Avatars page. 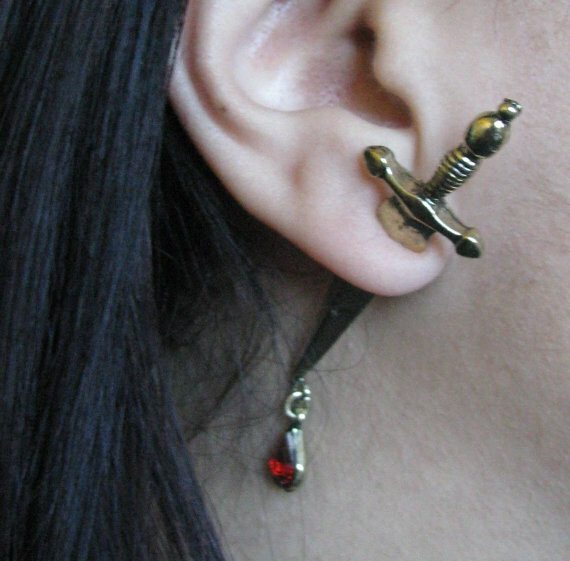 I don't know whether or not it resizes them, though. I'd imagine not. Perfect! Thank you, thank you! i'm not sure if you still monitor this, but thought i might as well try. i've been using wild skin on my forum and i absolutely love it, but some users have been requesting a dark version. i can find and replace most colors, except for the light beige/gray background color inside the category bars / outside of the posts? 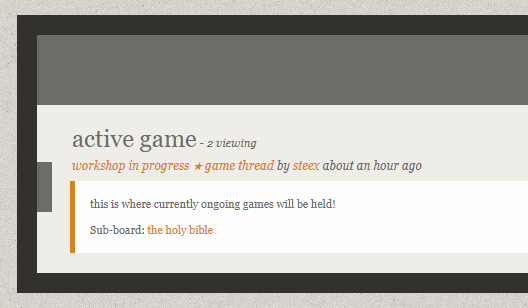 i also can't find where to change the background for the pagination. any help would be greatly appreciated! and honestly, thank you so much for making this theme in the first place.